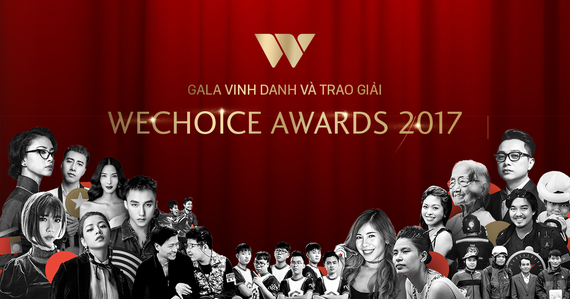 Winners of the 2017 WeChoice Awards were honored at a ceremony at the Saigon Exhibition and Convention Center in Ho Chi Minh City’s District 7 on February 4. This year's list of the top 10 Most Influential People on the Internet in 2017 conists of Ms. Nguyen Thi Xuan, 94, who spent 50 years to wait for her husband; actress and film producer Ngo Thanh Van; singers Son Tung-MTP, Min, Chi Phu, Only C; beauty blogger Changmakeup; the eSport Young Generation, a professional League of Legends team based in Vietnam; Tran Dang Khoa who travelled around the world by motorbike; and a group of male teachers of Tri Le Primary School in the northern province of Nghe An. The list of the top 6 Most Influential People voted by the Appraisal Committee includes Ms. Nguyen Thi Xuan; actor Quoc Tuan who has a child with Apert Syndrome and spent 15 years struggling his son's symptoms; symptoms; "Vietnam's start-up Queen" Truong Thanh Thuy (also called Thuy Muoi); actress Ngo Thanh Van; the Vietnam women's national football team; and the Vietnam national under-23 football team. The organization board also presented the titles to celebrities in the field of entertainment, including “Outstanding Activity of the Year” to singer Duc Phuc; “Breakthrough Artist of the Year” to Son Tung-MTP; “Best MV” to Son Tung-MTP for his biggest hit, Lac Troi (Lost); “Best album” to pop star My Tam for her latest work, “Tam 9”; “Best underground musical product” to Xesi, Masew and Nhat Nguyen for their song “Tuy am”; “Best feature film” to the movie “I'm not 18 yet”; “Best TV film” to the TV serial Nguoi Phan Xu (The Arbitrator). Members of the Appraisal Committee include President of the Ho Chi Minh City Peace Committee, Ton Nu Thi Ninh; General Director of VCCorp, Duong Vu Thang; journalist Le Quang Minh, director of VTV24 channel; Meritorious Artist Thanh Loc, journalist Tran Mai Anh, founder of “Thien Nhan and Friends" program. Launched in 2015, the award aims to honor people with their inspirational stories and outstanding contribution towards the development of society. 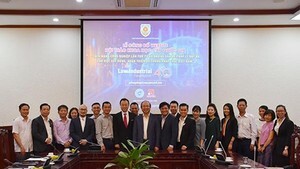 The Ministry of Justice (MoJ) has just announced the launch of a website for the national scientific conference ‘Law and the Fourth Industrial Revolution – Opportunities, Challenges, and Policy Responses for Vietnam’.